Cape Town is without a doubt the foodie capital of the country, and if it’s fine dining you’re after the Mother City is unbeatable. Cape Town was even named “best food city in the world” by Conde Nast Traveler. Here are our picks of the best restaurants in Cape Town for that special outing you have planned. Waterkloof is consistently rated as the top restaurant in the Winelands area, and the food is exquisite. Large glass windows overlook the vineyards, and the venue is stylishly decorated. The cuisine is classical with a modern French twist, with favourites such as the Joostenberg Vlakte duck breast, served with hibiscus-infused oven-roasted turnips. The degustation menu offers a chance to sample many dishes and is available with wine-pairing. 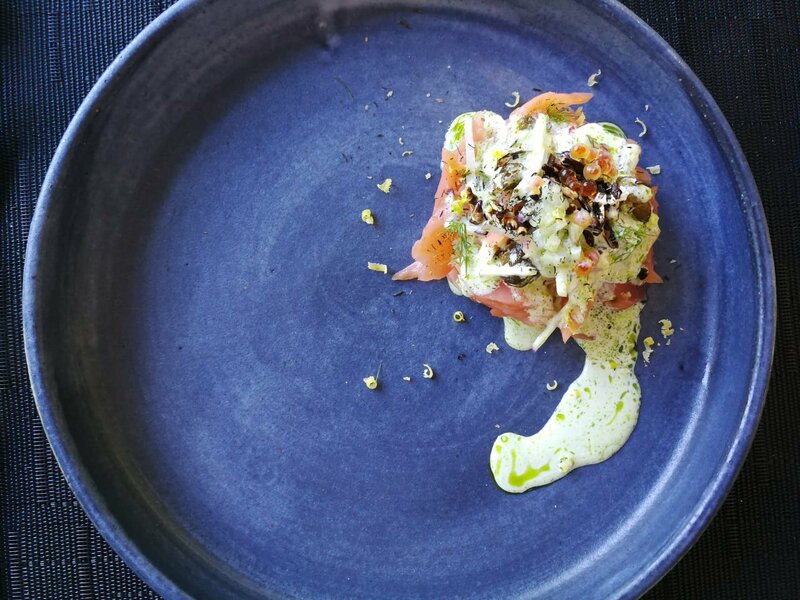 In 2018, Waterkloof won the top spot in the Mercedes-Benz Eat Out Restaurant Awards, so you can be sure you’re in for the crème de la crème of South African dining experiences. The Test Kitchen is chef Luke Dale-Roberts’ magnum opus. 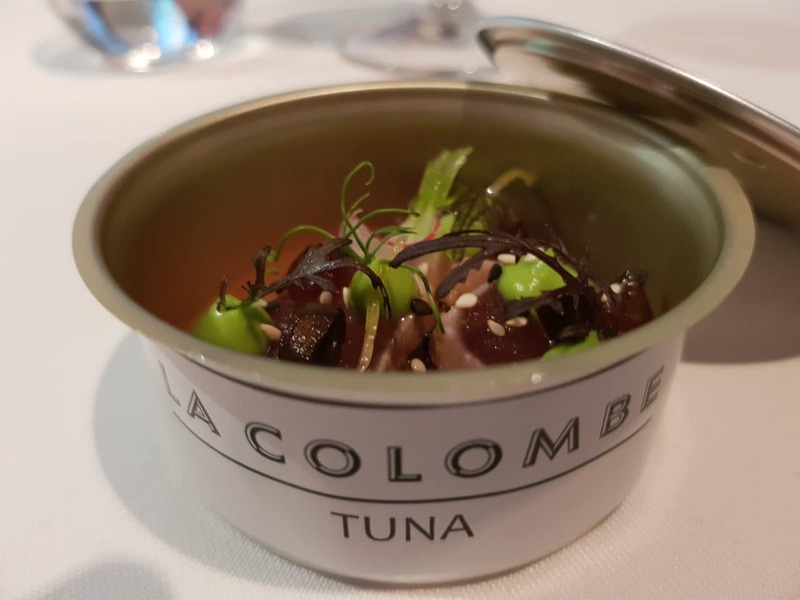 It’s been listed as one of the best restaurants in the world, and placed second in the Mercedes-Benz Eat Out Restaurant Awards. Bookings fill up months in advance, so you’ll need to plan carefully and book ahead to stand a chance to sample the fantastic food here. The menu changes regularly but whatever you choose, it’s bound to blow you away. Bombay Brasserie at the Taj Hotel treats its guests to only the finest in Indian dining, with beautifully prepared meals made from fresh, traditional ingredients. There is an à la carte menu or a seven-course tasting menu, depending on your style. Both bring delicious curries and predominantly North Indian dishes to the table, with refined ingredients and elements such as saffron sauce making the culinary experience all the more enjoyable. You’ll find yourself daydreaming about the roasted corn and turmeric velouté, tandoor-cooked basil prawns and kingklip in spiced coconut and mango curry long after your meal has ended. Though a meal here doesn’t come too cheap, it’s well worth every penny. Even if you don’t partake in the wine paired options at La Colombe, the experience will leave you giddy. Placed third in the Mercedes-Benz Eat Out Restaurant Awards, the restaurant is a guaranteed delight. Forest-themed theatrics set the tone for this culinary wonderland, without ever detracting from the star of the show: the bold and unique dishes that will have you talking about this restaurant for years to come. It’s another of Cape Town’s fine dining establishments to make the global list of top restaurants. The flawless food pairs with excellent wines, in an enchanting setting overlooking the Silvermist Wine Estate. This is for those diners who want something truly unique and special. Luke Dale-Roberts makes the list once again with The Potluck Club, located in the Old Biscuit Mill in Woodstock. It takes fine dining tapas to the next level, with great views of the city and harbour. The menu is divided into flavour profiles: salty, sour, sweet, umami, and bitter. Guests select their dishes by marking them down on the paper menus, and then the chef decides on the serving order. You really can’t go wrong with any of the menu items. They also do a Sunday brunch with a set menu and bottomless bubbles. Camphors at Vergelegen is hard to beat for its stunning setting on the beautiful Vergelegen Estate in Somerset West. The restaurant overlooks rolling lawns and the towering trees from which the restaurant takes its name. The menu is constantly changing to make full use of fresh, seasonal ingredients. The view is incredible and the staff are happy to accommodate special requests, so you can tailor your meal for special occasions. Chefs Warehouse is the brainchild of chef Liam Tomlin, who has quickly risen to the top in the Cape Town fine dining scene. The restaurant serves carefully crafted tapas-style dishes, and is set on the modern boutique estate of Beau Constantia. The seating is in a giant “glass box”, with floor-to-ceiling windows overlooking False Bay from its elevated position. Greenhouse is tucked away in the green foothills of the Constantia Valley. The restaurant overlooks the beautiful gardens of the Cellars-Hohenort Hotel, with elegant table settings which make for the perfect special romantic dinner. The kitchen’s unique creations change seasonally and rely on the availability of only the freshest produce, very often from the Greenhouse garden. The tasting menu with optional wine pairings has seen the Greenhouse win prestigious food awards year after year. Expect a side of showmanship with the food here. The Shortmarket Club is another of Luke Dale-Roberts’ award-winning offerings, together with his mentee Wesley Randles. Unlike the others, this restaurant welcomes foot traffic. This is the place to go if you want to experience some award-winning food but never got round to making your bookings weeks (or even months) in advance. Expect classic dishes like steak, duck-fat potatoes, and chocolate soufflé—with a gourmet twist, of course. One of the newer contenders on the fine dining scene is Liam Tomlin’s Thali, which serves Indian-style tapas. The décor is worth visiting for alone, with mosaic details and copper touches. The outside courtyard is like a little oasis, while the indoor seating is moody and dimly lit. 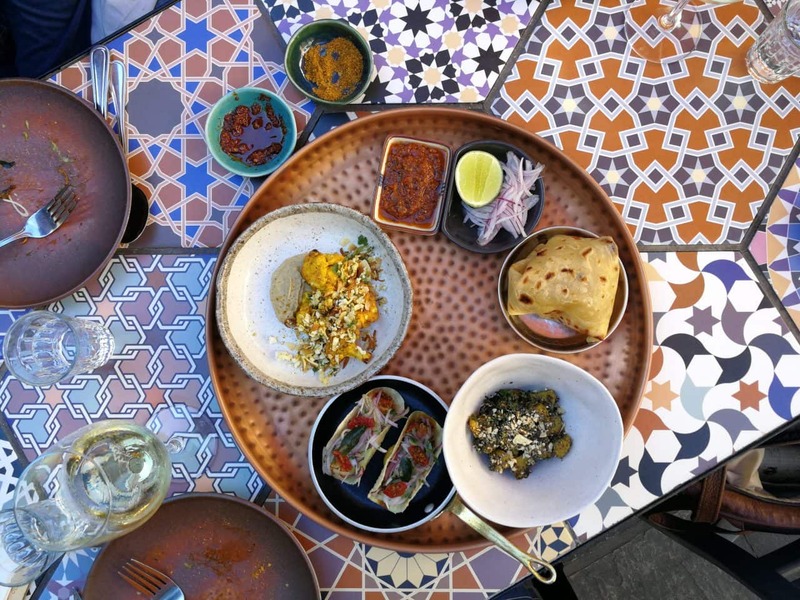 The curry-spiced oysters are sublime and unique, and the fish tacos (served in taco-style poppadoms) are fresh and flavourful. Consider ordering the set menu so you don’t miss out on anything. They don’t take bookings, but there is ample space so you shouldn’t have trouble getting a table. There are a few restaurants outside of the city that are worth visiting too. The following restaurants all earned spots in the Top 10 at the Mercedes Benz Eat Out Restaurant Awards in 2018. These prestigious spots all require advance bookings, and they’re a little bit of a drive, but they’re hard to beat. Wolfgat is located in Paternoster, just a two hour drive up the rugged West Coast. 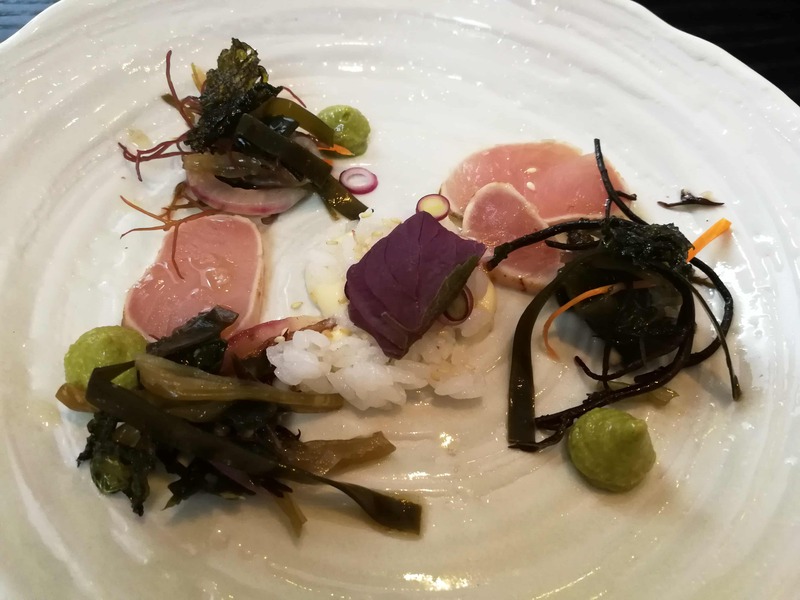 The ever-changing seven-course seasonal menu features foraged ingredients, all completely local. Expect hand-picked beach vegetation, fynbos, fresh seafood, and local lamb and venison. It’s a unique experience and you’ll find items on the menu that you won’t find anywhere else on earth. La Petite Colombe is La Colombe’s sister restaurant in Franschhoek. It has sky-rocketed since it opened, earning its own spot in the Top 10. The gourmand menu starts with a caraway sourdough and home churned butter, and takes you through 12 courses—including the much loved “meet the chefs” course, where diners leave their table and one of the chefs talks them through the kitchen and delivers a special course before the main is served. The reduced menu is a highlights reel for those with less time or a tighter budget.